I was going to do a whole article on shooting but that turned out to be just to big of a task. I figured I better break it down. I will start with rotating to shoot. Surprisingly this is rarely done. The rule book says its all about the visual appeal of the game, but really it is an incredibly important rule. 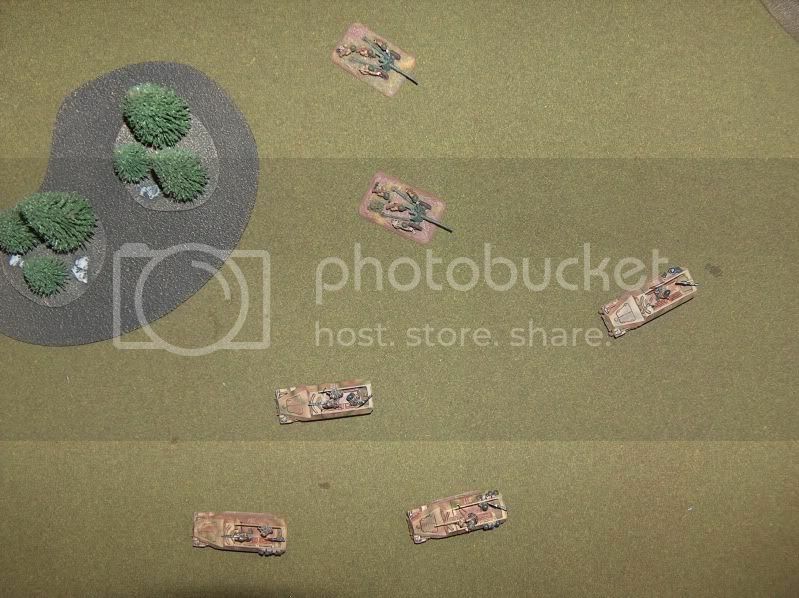 Teams MUST rotate towards a team in the enemy platoon they are shooting at. 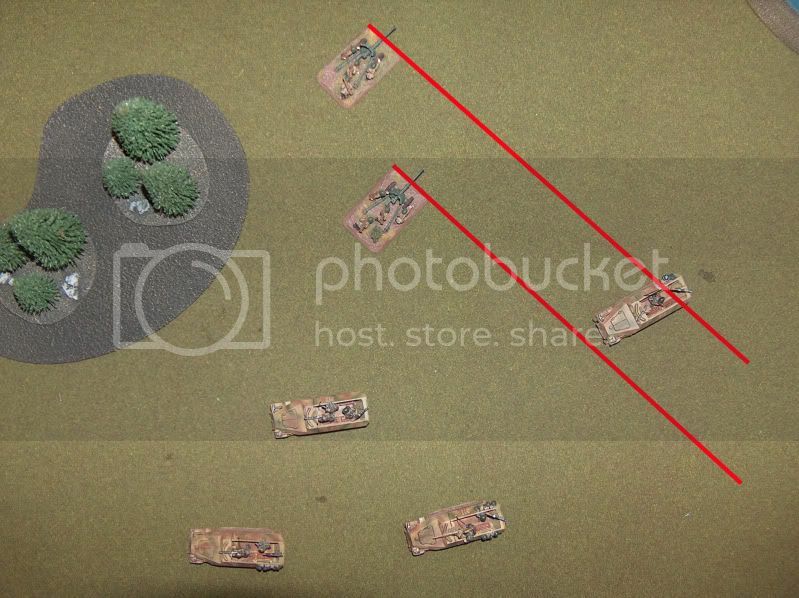 Artillery guns, since they don't shoot at a platoon, rotate towards their ranged in marker. 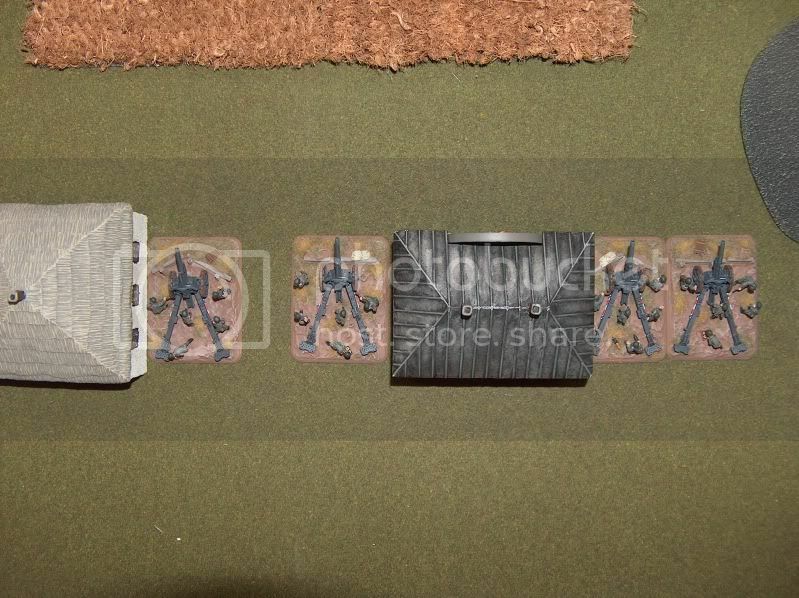 This can dramatically change their field of fire and gun shield facing for future turns. 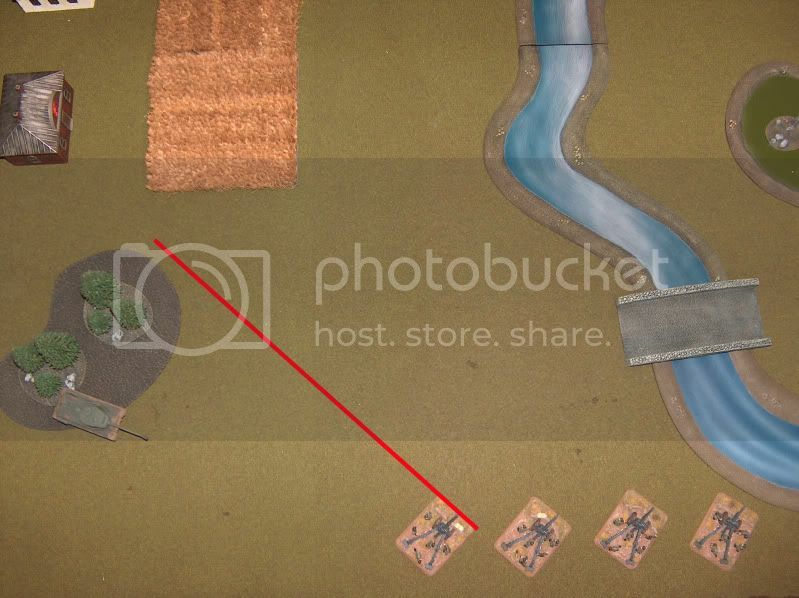 Infantry teams don't matter much because they have a 360 degree field of fire. I guess technically they should also rotate, but no one wants to stand there while you rotate a 100 Strelkovy stands. I'll go through a few situations here. First gun teams must turn towards a team in front of their 180 degree arc. This could be as simple as turning towards the nearest team. Where it gets complicated is if only some of the teams in the enemy platoon are in front of your 180 degree arc. You need to remember this BEFORE you rotate them. Because even though you can shoot at that platoon, you can only hit teams that were ORIGINALLY in front of your 180 degree arc. This is something I will over in the next Nazi Rules Corner. One thing a lot of people do is roll all their hits, but their opponent doesn't assign any. They then roll all of their saves and then apply those to their units...this is a NO NO. 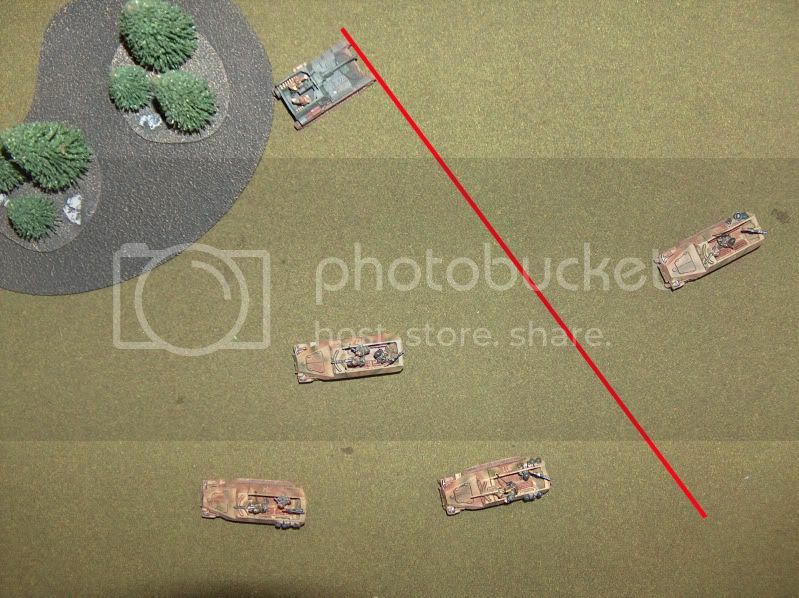 So you can see in the picture below that only one half-track is in front of the 180 degree arc for the 45mm guns. That means even though when the guns turn, the rest of the half-tracks are in front of the 180 degree arc, they can still ONLY apply hits to that 1 half-track. Assault guns are the same with the 180 arc, but tanks with turrets are a little different. Turreted tanks can either choose to turn their hull at any team in front of their 180, or their turret toward any team. However, in the same situation above they could shoot at teams behind them. Except for their Hull MG only has a 180 degree arc. The next issue I have is squishing teams together. I've probably seen this more then anything else. Teams rotate on their Center, and if they can't, they can't shoot. The bases aren't square, so if you put all your teams side by side, they will not be able to rotate and shoot. Even teams that are placed right beside a building. They won't be able to rotate and shoot at all. The building is in the way. It is NOT ok to rotate them so they are sticking out a bit. If you rotate them properly, on their center, they would end up half way into the building. That means they can't shoot. You can see in this picture that if teams rotate on their center then end up on top of each other, or partially into the building. 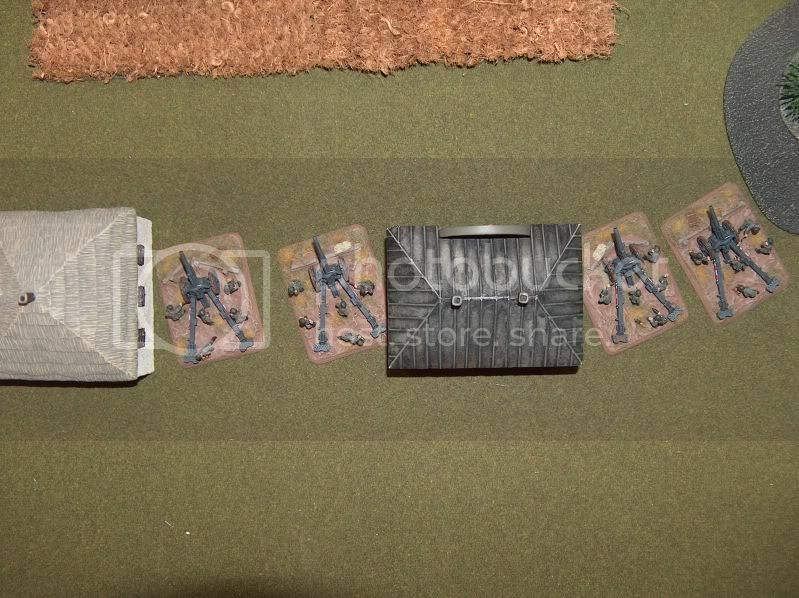 What I've seen is the 2nd picture where people just shift teams out a tiny bit. You can't do that. That would be movement, and immobile guns can't do that even in the movement step. These guns cannot rotate and shoot in anyway. Rotating just to fit...is a no no. Rotating properly can affect what you can shoot at from turn to turn. 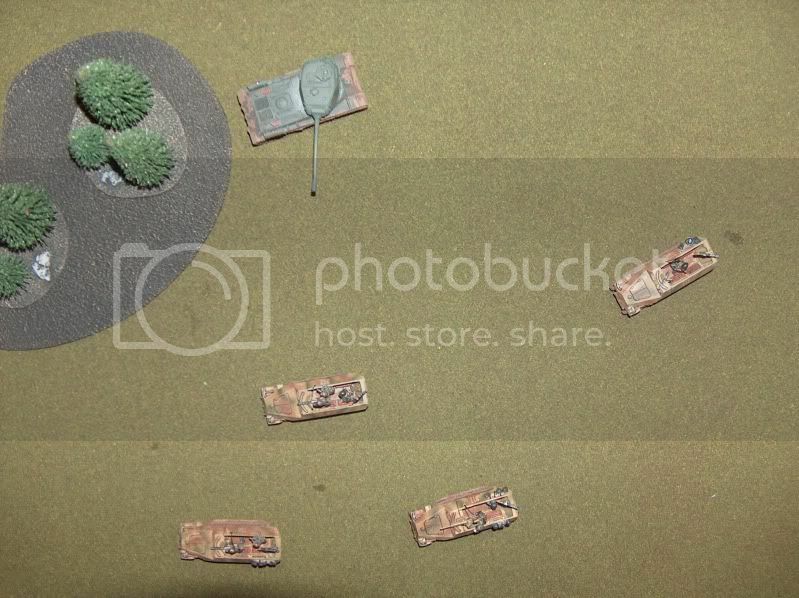 In the pic's below you can see that the artillery can range in on one side of the board one turn, but because they HAD to rotate, the now cannot rotate to get the IS-2 the next turn. 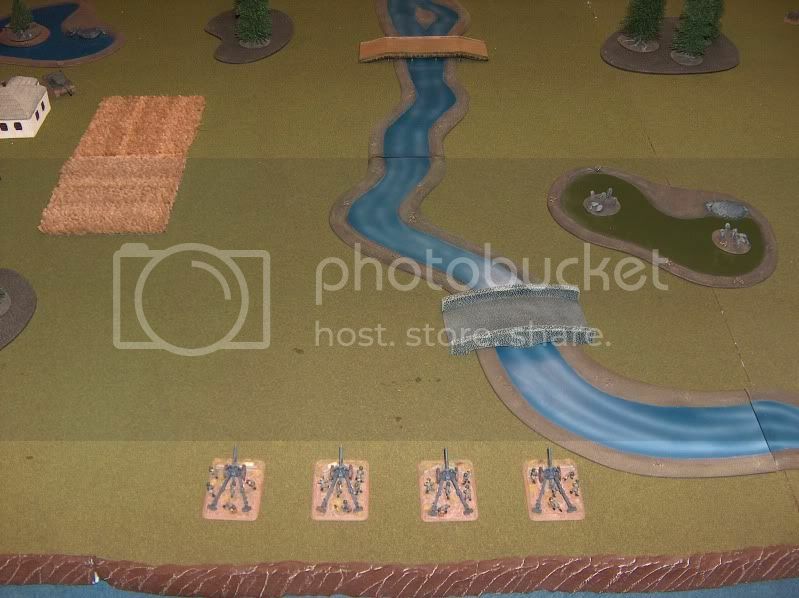 They would have to move first, and then shoot the next turn. So, this should show you how important rotating teams is. 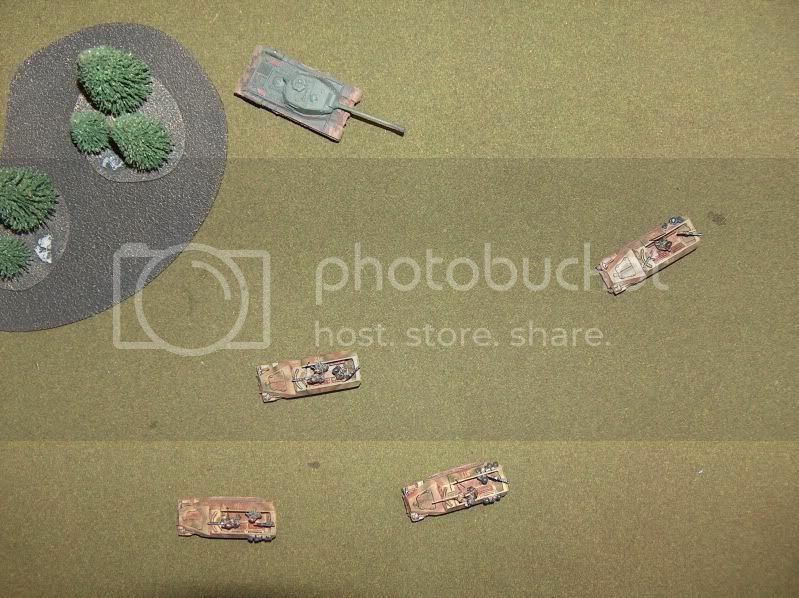 All to often I've played games where guys stick all their guns in the back, squished together, never rotate, and then just shoot at everything on the board. As I mentioned before, rotating is a big part of the game and how it all plays out. Next i will do actually how to apply hits. Its really hard to do this with pictures and text, I should almost do video's. I think it is important to point out that players shouldn't make their tank formationinto parking lots because tanks have to either rotate in place or rotate their turret. If the tanks are side by side you wont be able to properly rotate to face or be able to turn you turret to fire. I know alot of guys who line up side by side to get as many shots on target as possible, but when you rotate the vehicle they bump. Great, great article and list of rules. I think a great question to ask folks would be how they would handle a situation in a game where the example of the guns against the house arose. How would you make the point without getting killed on sportsmanship? Good stuff and keep it going!! @AKCraig - ya I was just thinking about that, because if you look on the WWPD blog, their newest game report all their tanks are like that. They would never be able to turn and shoot. Especially if they were hull mounted. @WEBGriffin - I think you would have to point that out as soon as they were moved or deployed that way, and not when the player trid to turn and shoot. It's a good change the player doesn't know the rotating on the center thing. As I've said I've played many games where players don't bother to rotate teams at all...ever. I'll take the bad sportsman score to make sure the game is played properly. But lets face it, lots of complicated situations happen that many people don't think of, or just don't get out of reading the rule book. You have to be a student of the game, much like we are students of history, or of the hobby. Very good stuff. Clears up a lot of the questions I've had also. 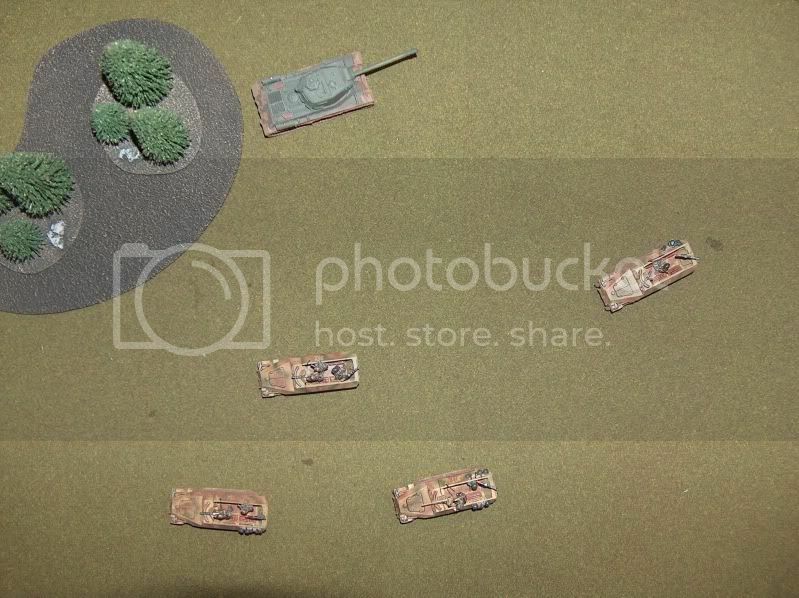 Another thing is when Immobile guns deploy off the table edge from reserves. If they don't have transports they can't rotate if you put the rear flush with the table edge. You can however bring them on so that only the corner is touching the table edge so that when they rotate on their center they have a full field of vision. Except the first turn they come on they may be pointing to the middle of nowhere. Great post Kage. It made perfect sense to me. The pics really help. I will try and direct my local gamers to this post as Artillery Gun team rotation is one thing that can get over looked. I think a video would serve better, but this will work for now. If there are other things anyone would like to me to go over, shoot me a message or leave a post.